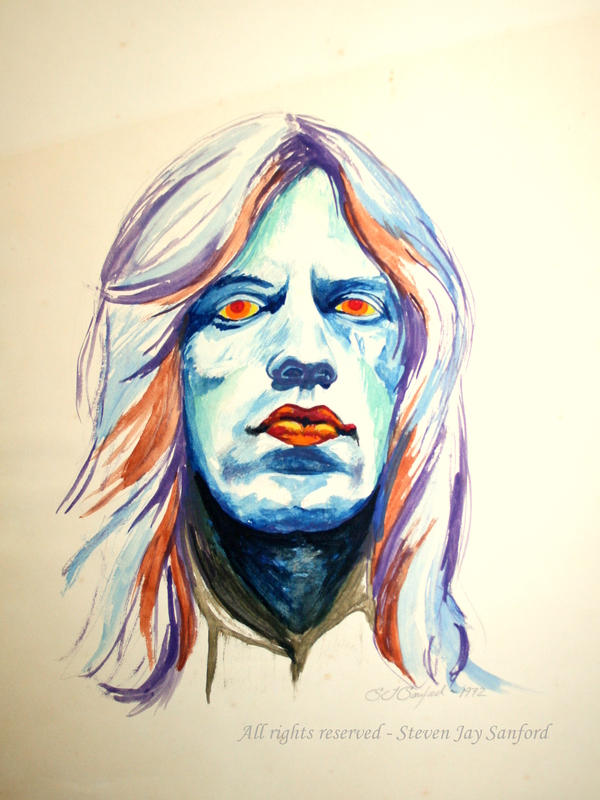 I painted – in watercolors – this portrait of Mick Jagger during my sophomore year at college. I was working from an album liner and added the colors to suit my fancy. Just like my enjoyment of the Stones’ music, this one has stood my personal test of time. 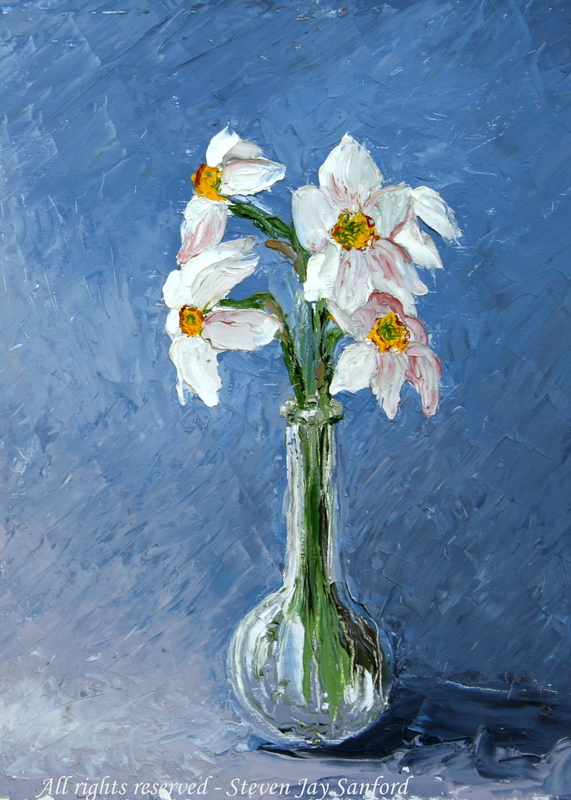 This still life – Narcissus , I believe – was done as classroom work. I took 3 classes at Suffolk Community College – at night – in the early 1990s. I had a different instructor each time and learned a lot. I painted this without brushes – palette knives only – in oils on board (Masonite). I show it here cropped from its full size to serve as a Mothers Day card a couple of years ago. 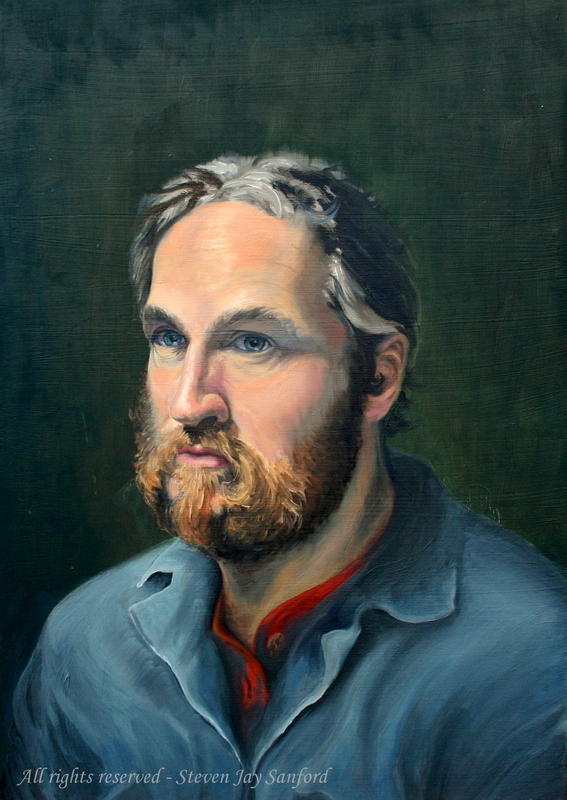 This self-portrait – oil on board – was another class assignment. But, it was done as homework. I sat in my basement shop in front of a mirror for a long weekend. This is another oil that I did while learning through Suffolk – I call it The White Shirt. The subject is good friend and colleague Mike Scheibel. For many years we traveled from Long Island across New York State to St. Lawrence County to hunt at Upper & Lower Lakes WMA in early October – about 6 weeks before our season opened on Long Island. The flooded impoundments ultimately killed most of the timber. 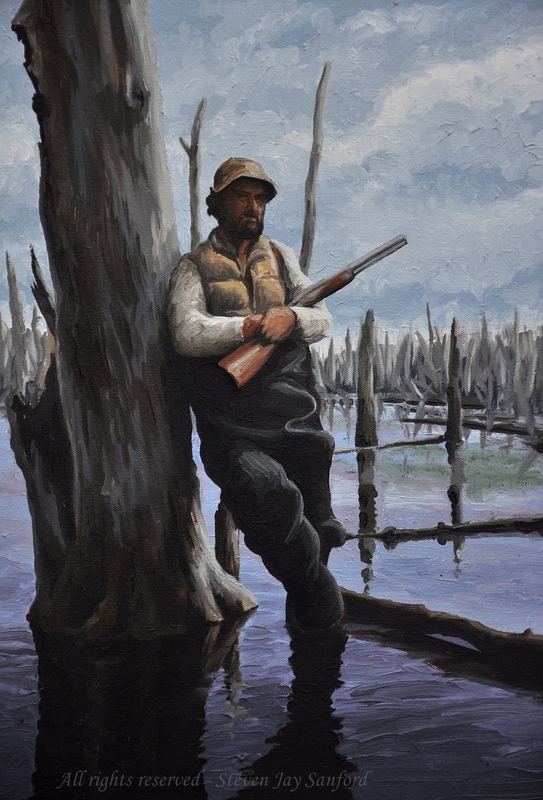 But, when we were hunting, hiding was easy – even if you were wearing a white shirt. 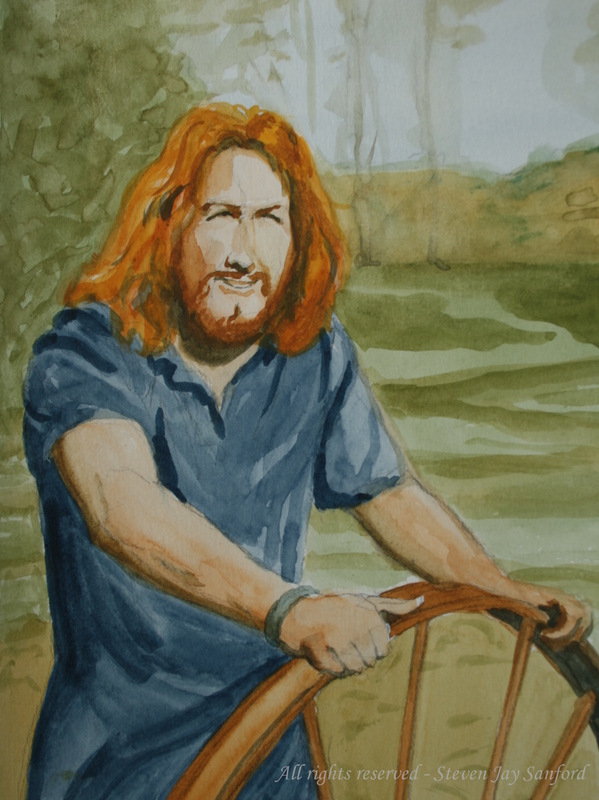 This is a watercolor of my son Ben. I did this – as a Christmas card for him – right after I began drawing and painting at the Saratoga Life Studio. I plan to do some serious portraits someday – but will likely do them in oils.